To travel, then, is to do, not only to see. To travel best is to be of the sportsmen of the road. To take a chance, and win; to feel the glow of muscles too long unused; to sleep on the ground at night and find it soft; to eat, not because it is time to eat, but because one's body is clamoring for food; to drink where every stream and river is pure and cold; to get close to the earth and see the stars–this is travel. It will not matter that you have never ridden before. The horses are safe and quiet. The Western saddle is designed to keep a cow-puncher in his seat when his rope is around an infuriated steer. Fall off! For the first day or two, dear traveler, you will have to be extracted! After that you will learn that swing of the right leg which clears the saddle, the slicker, a camera, night-clothing, soap, towel, toothbrush, blanket, sweater, fishing-rod, fly-hook, comb, extra boots, and sunburn lotion, and enables you to alight in a vertical position and without jarring your spine up into your skull. 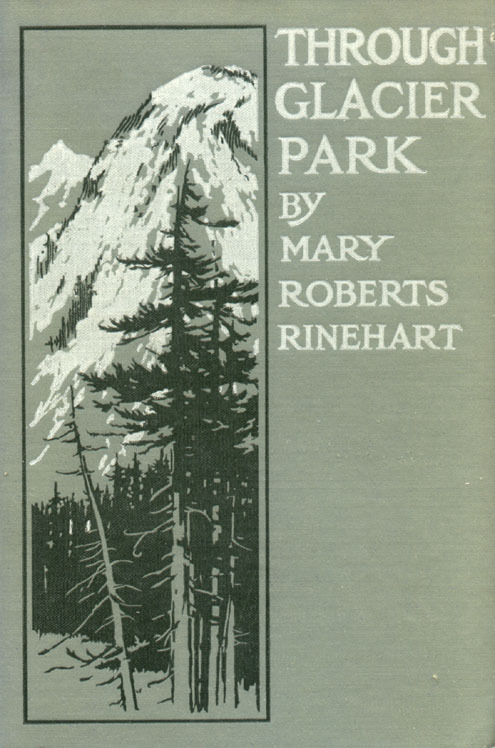 I object to the word "park," especially in connection with the particular National Reserve in northwestern Montana known as Glacier Park. A park is a civilized spot, connected in all our minds with neat paths and clipped lawns. I am just old enough to remember when it meant "Keep-Off-the-Grass" signs also, and my childhood memories of the only park I knew are inseparably connected with a one-armed policeman with a cane and an exaggerated sense of duty. True, so far most niggardly provision has been made. The Government offices are a two-roomed wooden cabin. The national warehouse is a barn. To keep it up, to build trails and roads, to give fire protection for its fourteen hundred square miles of great forest, with many millions of dollars worth of timber, are provided thirteen rangers! Thirteen rangers, and an annual allowance less than half of what is given to Yellowstone Park,–with this difference, too, that Yellowstone Park has had money spent on it for thirty-two years while Glacier Park is in the making! It is one of the merry little jests we put over now and then. For seventy-five miles in the north of the park there is no ranger. Government property, you see, and no protection. But no niggardliness on the part of the Government can cloud the ideal which is the raison d'être for Glacier Park. Here is the last stand of the Rocky Mountain sheep, the Rocky Mountain goat. Here are antelope and deer, black and grizzly bears, mountain lions, trout–well, we are coming to the trout. Here are trails that follow the old game trails along the mountain-side; here are meadows of June roses, true forget-me-nots, larkspur, Indian paintbrush, fireweed,–that first plant to grow after forest fires,–a thousand sorts of flowers, growing beside snow-fields. Here are ice and blazing sun, vile roads, and trails of a beauty to make you gasp. 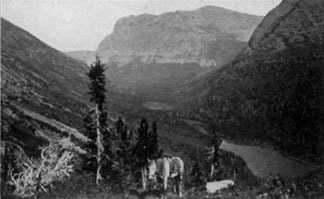 Nevertheless,–bad roads or good or none, thirteen rangers or a thousand,–seen from an automobile or from a horse, Glacier Park is a good place to visit. Howard Eaton thinks so. Last July, with all of the West to draw from, he took his first party through Glacier. This year in June, with his outfit on a pack-horse, he is going to investigate some new trails and in July he will take a party of riders over them. Forty-two people set out with Howard Eaton last summer to ride through Glacier Park. They were of every age, weight, and temperament. About half were women. But one thing they had in common–the philosophy of true adventure. He has taken foreign princes and many of the great people of the earth to the tops of high mountains, and shown them grizzly bears, and their own insignificance, at one and the same time. He is a hunter, a sportsman, and a splendid gentleman. And, because equipment is always a matter of much solicitude on the part of the novice, I shall tell you what he wears when, on his big horse, he leads his long line of riders over the trails. He wears a pair of serviceable trousers, a blue shirt, and a vest! Worn by Howard Eaton, believe me, they are real clothes. He has hunted along the Rockies from Alaska to Mexico. He probably knows Montana, Wyoming, and Idaho as well as any man in the country. By their own insistence, as the parties grew larger, they determined to help defray the cost of the expeditions. Every one who knows Howard Eaton knows that his trips are not made for profit. Probably they barely pay for themselves. It is impossible to talk to him about money. Save as a medium of exchange it does not exist for him. 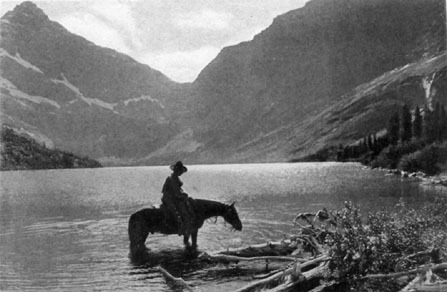 Life for him is twenty-four hours in the open air,–half of that time in the saddle,–long vistas, the trail of game, the camp-fire at night, and a few hours of quiet sleep under the stars. The Eaton "boys"–for there are three–left Pittsburg and went West many years ago. Howard was the first. He went in 1879. In 1884 Theodore Roosevelt went out to the same country. 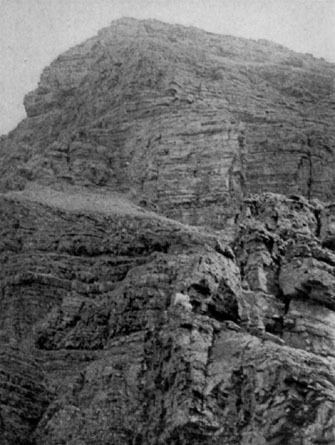 It was in 1904 when the Eatons left the Bad Lands and went toward the Big Horn Mountain. 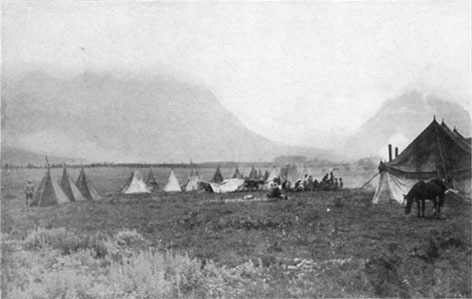 There, at the foot of Wolf Creek and in the center of the historic battle-ground of the Arapahoes, Sioux, Crows, and Cheyennes, they established a new ranch at Wolf, Wyoming. THE rendezvous for the Eaton party last summer was at Glacier Park Station on the Great Northern Railway. Getting to that point, remote as it seemed, had been surprisingly easy–almost disappointingly easy. Was this, then, going to the borderland of civilization, to the last stronghold of the old West? Over the flat country, with inquiring prairie dogs sitting up to inspect us, the train of heavy Pullman diners and club car moved steadily toward the purple drop-curtain of the mountains. West, always west. Now and then we stopped, and passengers got on. They brought with them something new, rather electric. It was enthusiasm. The rest, who had been Eastern and greatly bored, roused and looked out of the windows. For the newcomers were telling fairy tales, with wheat for gold and farmers for princes, and backing everything with figures. They think in bushels over rather a large part of America to-day. It was rather a picturesque party. 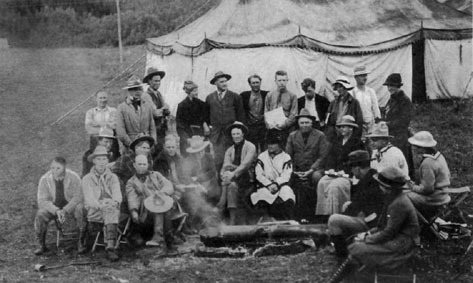 Those who had gone up from the Eaton ranch in Wyoming–a trifle of seven hundred miles–wore their riding-clothes to save luggage. Khaki was the rule, the women mostly in breeches and long coats, with high-laced shoes reaching to the knee and soft felt hats, the men in riding-clothes, with sombreros and brilliant bandannas knotted about their throats. One or two had rather overdone the part and were the objects of good-natured chaffing later on by the guides and cowboys. "Hi!" cried an urchin as we walked about the streets of Billings, Montana, to stretch train-tired muscles. "Here's the 101 Ranch! " Not very long before I had been to the front in Belgium and in France. I confess that no excursion to the trenches gave me a greater thrill than the one that accompanied that start the next morning from the Glacier Park Hotel to cross the Continental Divide. For we were going to cross the Rockies. Our route was three hundred miles long. It was over six passes, and if you believe, as I did, that a pass is a valley between two mountains, I am here to set you right. Once, having left the party to make a side trip, my precious buckskin horse–called "Gold Dollar"–was "packed" over. Now, Gold Dollar was a real horse with a beard. He was not a handsome horse. Even when I was on him, no one would have turned to admire. But he was a strong horse, and on a trail up a switchback–do you know what a switchback is?–well, a mountain switchback bears about as much relation to the home-grown amusement-park variety as a stepmother to the real thing–on a switchback he was well-behaved. He hugged the inside of the trail, and never tried to reach over the edge, with a half-mile drop below, to crop grass. He was not reckless. He was a safe and sane horse. He never cared for me, but that is beside the question. So, having temporarily left Gold Dollar, I had to get back to him. I had to go fifty miles to do it, and I was provided with a horse by the man who holds the horse concession in the park. A horse? A death-trap, a walking calamity, a menace. If the companies who carry my life insurance had seen me on that horse, they would have gone pale. He was a white horse, and he was a pack-horse. Now, the way of a pack-horse is on the edge of the grave. Because of his pack he walks always at the outer side of the trail. If his pack should happen to hit the rocky wall, many unpleasant things would follow, including buzzards. So this beast, this creature, this steed of death, walked on the edge of the precipice. He counted that moment lost that saw not two feet dangling blithely over the verge. Now and then the verge crumbled. We dislodged large stones that fell for a mile or two, with a sickening thud. Once we crossed a snow-field which was tilted. He kept one foot on the trail and gave the other three a chance to take a slide. There was a man riding behind me. When it was all over, he shook my hand. 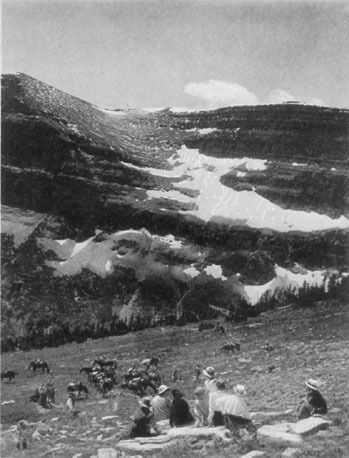 Off, then, to cross the Rocky Mountains–forty-two of us, and two wagons which had started early to go by road to the first camp: cowboys in chaps and jingling spurs; timorous women, who eyed rather askance the blue and purple mountains back of the hotel; automobile tourists, partly curious and partly envious; the inevitable photographer, for whom we lined up in a semicircle, each one trying to look as if starting off on such a trip was one of the easiest things we did; and over all the bright sun, a breeze from the mountains, and a sense of such exhilaration as only altitude and the West can bring. Then a signal to fall in. For a mile or two we went two abreast, past a village of Indian tepees, past meadows scarlet with the Indian paintbrush, past–with condescension–automobile busses loaded with tourists who craned and watched. Then to the left, and off the road. The cowboys and guides were watching us. As we strung out along the trail, they rode back and forward, inspecting saddles, examining stirrups, seeing that all were comfortable and safe. 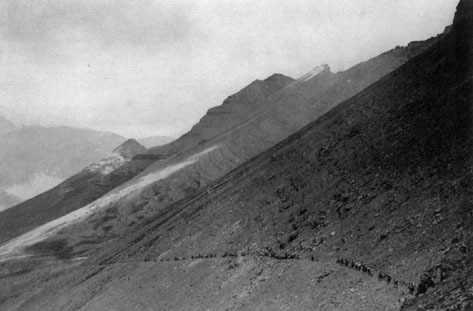 For even that first day we were to cross Mount Henry, and there must be no danger of saddle slipping. Up and up. The trail was safe, the grade easy. At the edge of the bench we turned and looked back. The great hotel lay below in the sunlight. Leading to it were the gleaming rails of the Great Northern Railway. We turned our horses and went on toward the snow-covered peaks ahead. 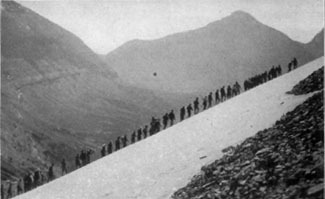 The first day was to be an easy one–twelve miles and camp. "Twelve miles!" said the experienced riders. "Hardly a Sunday morning canter!" But a mountain mile is a real mile. Possibly they measure from peak to peak. I do not know. I do know that we were almost six hours making that twelve miles and that for four of it we led our horses down a mountain-side over a vacillating path of shale. Knees, that up to that point had been fairly serviceable, took to chattering. Riding-boots ceased to be a matter of pride and emerged skinned and broken. The horses slid and stumbled. And luncheon receded. Down and down! Great granite cliffs of red and blue and yellow across the valley–and no luncheon! Striped squirrels hiding in the shale–and no luncheon! A great glow of moving blood through long-stagnant vessels, deep breaths of clear mountain air, a camera dropped on the trail, a stone in a horse's foot–and no luncheon! That's what it is, partly. A sense of achievement; of conquering the unconquerable; of pitting human wits against giants and winning–a sporting chance. You may climb peaks in a railroad coach and see things as wonderful. But you are doing this thing yourself. Every mile is an achievement. And, after all, it is miraculously easy. The trails are good. The horses are steady and sure-footed. It is a triumph of endurance rather than of courage. If you have got this far, you are one of us, and you will go on. For the lure of the high places is in your blood. The call of the mountains is a real call. The veneer, after all, is so thin. Throw off the impedimenta of civilization, the telephones, the silly conventions, the lies that pass for truth. Go out to the West. Ride slowly, not to startle the wild things. Throw out your chest and breathe; look across green valleys to wild peaks where mountain sheep stand impassive on the edge of space. Let the summer rains fall on your upturned face and wash away the memory of all that is false and petty and cruel. Then the mountains will get you. You will go back. The call is a real call. The rangers keep going all winter. There is much to be done. In the summer it is forest fires and outlaws. In the winter there are no forest fires, but there are poachers after mountain sheep and goats, opium smugglers, bad men from over the Canadian border. Now and then a ranger freezes to death. All summer these intrepid men on their sturdy horses go about armed with revolvers. 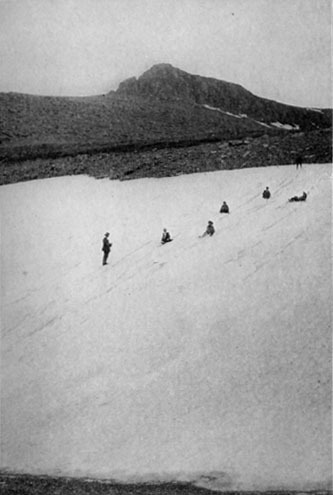 But in the fall–snow begins early in September, sometimes even in August–they take to snowshoes. With a carbine strung to his shoulders, matches in a waterproof case, snowshoes and a package of food in his pocket, the Glacier Park ranger covers unnumbered miles, patrolling the wildest and most storm-ridden country in America. He travels alone. The imprint of a strange snowshoe on the trail rouses his suspicion. Single-handed he follows the marks in the snow. A blizzard comes. He makes a wikiup of branches, lights a small fire, and plays solitaire until the weather clears. The prey he is stalking cannot advance either. Then one day the snow ceases; the sun comes out. Over the frozen crust his snowshoes slide down great slopes with express speed. Generally he takes his man in. Sometimes the outlaw gets the drop on the ranger first and gets away. The snow melts in the summer on the meadows and in the groves. But the peaks are still covered, and here and there the trail leads through a snow-field. The horses venture out on it gingerly. The hot sun that blisters the face seems to make no impression on these glacier-like patches, snow on top and ice beneath. Flowers grow at their very borders. Striped squirrels and whistling marmots, much like Eastern woodchucks, run about, quite fearless, or sit up and watch the passing of the line of horses and riders, so close that they can almost be touched. Great spaces; cool, shadowy depths in which lie blue lakes; mountain-sides threaded with white, where, from some hidden lake or glacier far above, the overflow falls a thousand feet or more, and over all the great silence of the Rockies! Nerves that have been tightened for years slowly relax. There is not much talking. The horses move along slowly. The sun beats down. Some one, shading his eyes with his hand, proclaims a mountain sheep or goat on a crag overhead. The word passes back along the line. Also a thrill. Then some wretched electrical engineer or college youth or skeptical lawyer produces a pair of field-glasses and announces it to be a patch of snow. Here and there we saw "tourist goats," rocks so shaped and situated as to defy the strongest glass. The guides pointed them out and listened with silent enjoyment to the resulting acclamation. After that discovery, we adopted a safe rule: nothing was a goat that did not move. Long hours we spent while our horses wandered on with loose reins, our heads lifted to that line, just above the timber, which is Goatland. And the cry "A goat!" and the glasses, and skepticism–often undeserved. The first night out of doors I did not sleep. I had not counted on the frosty nights, and I was cold. The next day I secured from a more provident member of the party woolen pajamas. Clad in those, and covered with all the extra portions of my wardrobe, I was more comfortable. But it takes woolen clothing and bed socks to keep out the chill of those mountain nights. One rises early with Howard Eaton's party. No matter how late the story-tellers have held the crowd the night before around the camp-fire, somewhere about five o'clock, Howard–he is either Howard or Uncle Howard to everybody–comes calling among the silent tepees. Now and then a luxurious soul worried the cook for hot water. They tell of a fastidious lady who carried a small tin pail of water to the cook tent and addressed the cook nervously as he beat the morning flapjacks with a savage hand. "Do you think," she inquired nervously, "if–if I put this water on your stove, it will heat?" "You see it's like this, lady," he said. "My father was a poor man and could n't give me no education. Damned if I know. What do you think? " "Come and get it!" is repeated down the line of tepees. That is the food call of an Eaton camp. Believe me, it has the butler's "Dinner is served, madame," beaten forty ways for Sunday. There is no second call. You go or you don't go. The long tables under the open end of the cook tent are laden with bacon, ham, fried eggs, flapjacks, round tins of butter, enameled cups of hot coffee, condensed milk, sometimes fried fish. For the cook can catch trout where the most elaborately outfitted Eastern angler fails. The horses come in with a thudding of hoofs and are rounded up by the men into the rope corral. Watched by night herders, they have been grazing quietly all night in mountain valleys. There is not much grass for them. By the end of the three hundred mile trip they are a little thin, although in good condition. It is the hope of the Superintendent of the Park and of others interested that the Government will soon realize the necessity for planting some of the fertile valleys and meadows with grass. There are certain grasses that will naturalize themselves there–for instance, clover, bluejoint, and timothy. Beyond the first planting they would need nothing further. And, since much of the beauty of this park will always be inaccessible by motor, it can never be properly opened up until horses can get sufficient grazing. Sometimes, at night, our horses ranged far for food,–eight miles,–even more. Again and again I have watched my own horse nosing carefully along a green bank and finding nothing at all, not a blade of grass it could eat. With the second day came a new sense of physical well-being, and this in spite of a sunburn that had swollen my face like a toothache. Already telephones and invitations to dinner and tailor's fittings and face powder belonged to the forgotten past. 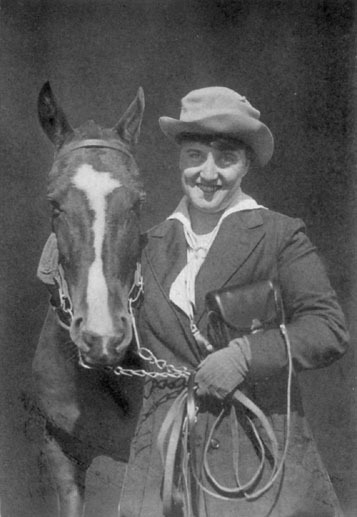 I carried over my saddle and placed it beside my horse, and a kindly and patronizing member of Howard Eaton's staff put it on and cinched it for me. I never learned how to put the thing on, but I did learn, after a day or two, to take it off, as well as the bridle and the red hackamore, and then to stand clear while my buckskin pony lay down and rolled in the grass to ease his weary back. All the horses rolled, stiff-legged. If the saddle did not come off in time, they rolled anyhow, much to the detriment of cameras, field-glasses, and various impedimenta strapped thereon. DAY after day we progressed. There were bright days and days when we rode through a steady mist of rain. Always it was worth while. What matters a little rain when there is a yellow slicker to put on and no one to care how one looks? Once, riding down a mountain-side, water pouring over the rim of my old felt hat and pattering merrily on my slicker, I looked to one side to see a great grizzly raise himself from behind a tree-trunk, and, standing upright, watch impassively as my horse and I proceeded. I watched him as far as I could see him. We were mutually interested. The party had gone on ahead. For a long time afterward I heard the crackling of small twigs in the heavy woods beside the trail. But I never saw him again. Howard Eaton always made the coffee. It was good coffee. Apparently nobody ever thought of tea. In the out-doors it is coffee–strong coffee, as hot as possible–that one craves. There was one young woman in the party to whom things were always happening–not by her own fault. If there was a platter of meat to be dropped, it fell in her lap. And so I remember that one day, the coffee having been made at a luncheon stop, the handle came off the coffee-pot and this same young woman had an uncomfortable baptism. But it was all in the game. Hot coffee, marmalade, bread and butter, cheese, sardines, and the best ham in the world–that was luncheon. 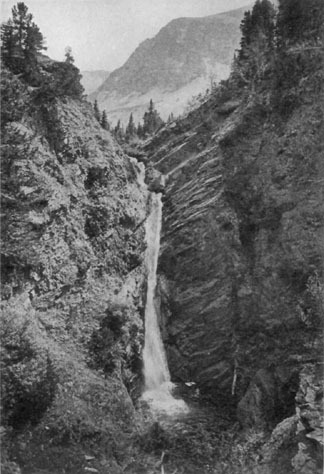 Often there was a waterfall near, where for the mere holding out of a cup there was ice water to drink. The horses were not unsaddled at these noonday stops, but, having climbed hard all morning, they were glad to stand in the shade and rest. One young man was the party poet. He hit us all off sooner or later. I have the ode he wrote to me, but modesty forbids that I give it. Sometimes our destination towered directly overhead, up a switchback of a trail where it was necessary to divide the party into groups, so that no stone dislodged by a horse need fall on some one below. Always at the head, riding calmly, with keen blue eyes, that are like the eyes of aviators and sailors in that they seem to look through long distances, was Howard Eaton. Every step of the trail he tested first, he and his big horse. 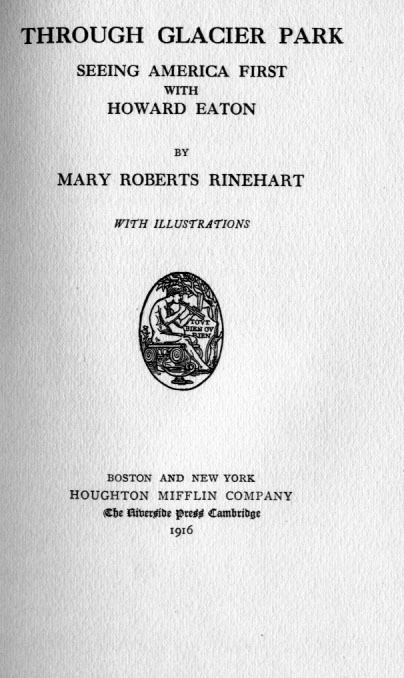 And I dare say many a time he drew a breath of relief when the last timid woman had reached a summit or descended a slope or forded a river, and nothing untoward had happened. There were days when we reached our camping-places by mid-afternoon. Then the anglers got their rods and started out for trout. There were baths to be taken in sunny pools that looked warm and were icy cold. There were rents in riding-clothes to be mended; even–whisper it–a little laundry work to be done now and then by women, some of them accustomed to the ministrations of a lady's maid at home. And there was supper and the camp-fire. Charley Russell, the cowboy artist, was the campfire star. To repeat one of his stories would be desecration. No one but Charley Russell himself, speaking through his nose, with his magnificent head outlined against the firelight, will ever be able to tell one of his stories. There were other good story-tellers in the party. And Howard Eaton himself could match them all. A hundred miles from a railroad, we gathered around that campfire in the evening in a great circle. There were, you will remember, forty-two of us–no mean gathering. The pine and balsam crackled and burned, and overhead, often rising in straight walls around us for thousands of feet, were the snow-capped peaks of the Continental Divide. Little by little the circle would grow smaller until at last only a dozen choice spirits remained for a midnight debauch of anecdote. I have said that the horses ranged wide at night. Occasionally they stayed about the camp. There was one big horse that was belled at night. Now and then toward dawn he brought his ungainly body, his tinkling bell, and his satellites, the other horses, into the quiet streets of tepee town. More than once I have seen an irate female, clad in pajamas and slippers, with flying braids, shooing the horses away from her tent in the gray, cold dawn, and flinging after them things for which she vainly searched the next morning. HOLIDAYS are rare with me. So, on those occasional days when the party rested, I was up and away. I happen to like to fish. The same instinct which sent me as a child on my grandaunt's farm, armed with a carefully bent pin, an old cigar box full of worms, and a piece of twine, to sit for hours over a puddle in a meadow and fish for minnows; the same ambition which took me on flying feet up the hillside to deposit my prey, still wriggling, in a water barrel, where for days I offered it food in the shape of broken crackers, and wept to find eventually its little silver belly upturned to the morning sky–that joy of running water and still pools and fish is still mine. I threatened to write up Glacier Park as being a fishing failure. The result was calamitous. Earnest-eyed fishermen spent hours in rowing me about. They imperiled my life, taking me into riffles; they made me brave pneumonia and influenza and divers other troubles in the determination that I should catch a mammoth fish. And nothing happened–nothing whatever. Once a man in the boat hooked a big one and it ran under the boat. I caught the line and jerked the fish into the boat. That was the nearest I came to catching a large cutthroat trout at Red Eagle Lake. Later on–but I have n't come to that yet. The fisherman stationed me on a rock, weighted my hook, told me to drop in about forty feet of line, and stand still. They would hook themselves. They did. I caught eight in fifteen minutes. But it was not sport. It was as interesting as fishing for gold-fish in an aquarium. As I look back, that was a strange gathering at the fishing camp at Red Eagle–so very far from anything approaching civilization. There was a moving-picture man and his outfit, there were the two college men, there was the chief ranger of Glacier Park. 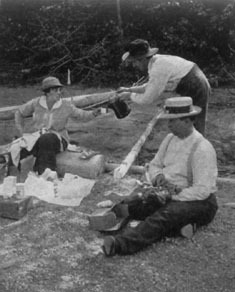 There was a young couple from New England who were tramping through the park, carrying their tent and other things on their backs. They were very young and very enthusiastic. I suspected them of being bride and groom, although I did not know, and the most vivid recollection I have is of seeing the young woman washing their camp-dishes in the cleanest, soapiest dishwater I had seen since I left home. And there was a cook who is a business man in the winter, and who made excellent soda biscuit and talked books to me. That night, around the camp-fire, there were more stories told. The college boys–"Pie" Way, the Yale pitcher, was one–related many marvelous tales. They said they were true. I hope so. If they were, life is even more interesting and thrilling a thing than I had believed. If they were fiction, they had me beaten at my own game. The next day was lowering and cold. I spent the morning trying to get fish, and retired sour and disappointed when every one else succeeded and I failed. Sometime I am going back to Red Eagle Lake, and I shall take with me a tin of coral-colored salmon eggs–a trick I learned from George Locke on the Flathead River later on. And then I intend to have my photograph taken with strings of fish like bunches of bananas around me. I have traveled a great deal. The Alps have never held this lure for me. Perhaps it is because these great mountains are my own, in my own country. Cities call–I have heard them. But there is no voice in all the world so insistent to me as the wordless call of the Rockies. I shall go back. Those who go once always hope to go back. The lure of the great free spaces is in their blood. We crossed many passes. Dawson Pass was the first difficult Rocky Mountain pass I had ever seen. There was a time when I had thought that a mountain pass was a depression. It is not. A mountain pass is a place where the impossible becomes barely possible. It is a place where wild game has, after much striving, discovered that it may get from one mountain valley to another. Along these game trails men have built new paths. Again and again we rode through long green valleys, the trail slowly rising until it had left timber far below. Then at last we confronted a great rock wall, a seemingly impassable barrier. Up this, by infinite windings, back and forward went the trail. At the top was the pass. There was the day we went over the Cutbank Pass, with instructions to hold our horses' manes so that our saddles would not slip back. I shall never forget my joy at reaching the summit and the horror that followed when I found I was on a rocky wall about twenty feet wide which dropped a half-mile straight down on the other side to a perfectly good blue lake. There was Triple Divide. There was the Piegan Pass, where, having left the party for a time, I rode back to them on the pack-horse I have mentioned before, with my left foot dangling over eternity. There was the day when, on our way to Gunsight, we rode for hours along a trail that heavy rains had turned into black swamp. The horses struggled, constantly mired. 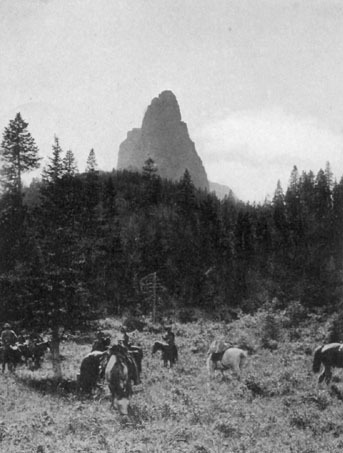 It was the hardest day of the trip, not because of the distance, which was only thirty-five miles, but on account of the constant rocking in the saddle as our horses wallowed out of one "jack pot" into another–jack pots, I presume, because they are easy to get into and hard to get out of! One more pass, and we should be across the Rockies and moving down the Pacific Slope. The moon came up that night and shone on the ice-caps of the mountains all around us, on the glacier, on the Gunsight itself, appropriately if not beautifully named. As far up the mountain-side as the glacier our tired horses ranged for grass, and the tiny fire of the herder made a red glow that disappeared as the night mist closed down. No "Come and get it" the next morning, but a good breakfast, nevertheless: a frosty morning, with the sun out, and the moving picture man gone ahead to catch us as we climbed. There was another photographer who had joined the party. He had been up at dawn, on the chance of snapping a goat or two. 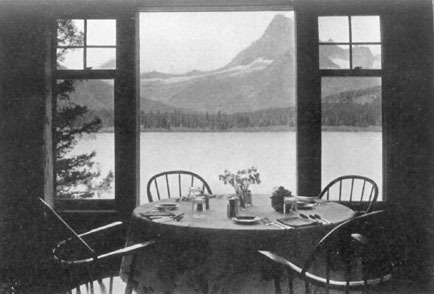 Late the next night, when after a hard day's ride we had reached civilization again at Lake Macdonald, and had dined and rested, the ambitious young man limped into the hotel on foot. For more than twenty miles he had tramped, carrying a heavy plate camera and extra plates. The zeal of the artist had made him careless. He left his horse untied, and it promptly followed the others. Once over the crest of the Gunsight, there was a change in the air. It blew about us, warm with the heat it had gathered in the South Pacific. Such animal life as the altitude permitted was out, basking in the sun. There were still snow-fields in the shadows, but they were not so numerous. The rocks threw back the sun-rays on to our burned faces. The trail dipped, climbed, dipped again. Here on a ledge was a cry, "Pack-train coming," and we halted to let pass by a train of men on horseback and of laden little burros, tidy and strong. Sperry Chalet and luncheon. No more the ham and coffee over a wood fire, the cutting of much bread on a flat stone. Here were tables, chairs, and linen. Alas, there was a waitress who crumbed the table and brought in dessert. Then Lake Macdonald. We burst out of the forest on a run. The horses had known, by the queer instinct of horses, that just ahead would be oats and a corral and grass for the eating. They broke into a canter. The various things we had hung to ourselves during the long, slow progress over the mountain rattled and banged. We hung on in a kind of mad exultation. We had done it. We had crossed the Continental Divide, the Lewis Overthrust, whatever geographers choose to call it. There was good food. Again there were people dressed in civilized raiment, people who looked at us and our shabby riding clothes with a disdain not unmixed with awe. There was fox-trotting and one-stepping, in riding-boots, with an orchestra. And that night at Lewis's they gave Howard Eaton a potlatch. There were hot fried trout, sandwiches, and chips of dried meat–buffalo and deer, I believe. There was beer. After that came the gifts. Everybody got something. Howard Eaton received a waistcoat made of spotted hide, and the women got necklaces of Indian beads. It was extraordinary, hospitable, lavish, and–Western. To have a party and receive gifts is one thing, but to have a party so you can give away things is another. Inadequate appropriations, the necessity for putting the entire heavy machinery of the Government in motion for the long-distance control of the park, poor automobile roads, and insufficient rangers–these are the black marks against us in Glacier Park. On every hand the enthusiasm of a most efficient superintendent must contend with these things. That marvels of trail-making and road-building in this vast domain have been done with so little money and encouragement is due, primarily, to the faith the men closely connected with the park have had in its future. They want real men out there. But the mountains take care of that. The weaklings don't stick. 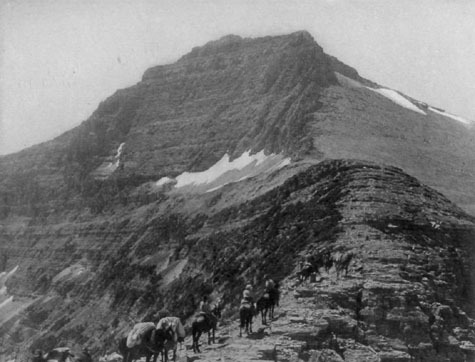 From just north of Glacier Park went a band of twenty-five cavalrymen that I met last year in Flanders. They were rangers: mountain riders. For weeks during the German invasion they rode on skirmish duty between the advancing Germans and the retiring armies. They became famous. Where there were reckless courage and fine horsemanship needed, those men were sent. And, now that we are criticizing,–every one may criticize the Government: it is the English blood in us,–why is it that, with the most poetic nomenclature in the world,–the Indian,–one by one the historic names of peaks, lakes, and rivers of Glacier Park are being replaced by the names of obscure Government officials, professors in small universities, unimportant people who go out there to the West and memorialize themselves on Government maps? Each year sees some new absurdity. What names in the world are more beautiful than Going-to-the-Sun and Rising-Wolf? Here are Almost-a-Dog Mountain, Two-Medicine Lake, Red Eagle–a few that have survived. Every peak, every butte, every river and lake of this country has been named by the Indians. The names are beautiful and romantic. To preserve them in a Government reservation is almost the only way of preserving them at all. What has happened? Look over the map of Glacier Park. The Indian names have been done away with. Majestic peaks, towering buttes are being given names like this: Haystack Butte, Trapper Peak, Huckleberry Mountain, the Guard House, the Garden Wall. One of the most wonderful things in the Rocky Mountains is this Garden Wall. I wish I knew what the Indians called it. Then there are Iceberg Lake, Florence Falls, Twin Lakes, Gunsight Mountain, Split Mountain, Surprise Pass, Peril Peak,–that last was a dandy! Alliterative!–Church Butte, Statuary Mountain, Buttercup Park. Can you imagine the inspiration of the man who found some flowery meadow between granite crags and took away from it its Indian name and called it Buttercup Park? The white man came, and not content with eliminating the Indians, he went further and wiped out their history. Any Government official, if he so desires, any white man seeking perpetuation on the map of his country, may fasten his name to a mountain and go down in the school geographies. It has been done again and again. It is being done now. And the lover of the old names stands helpless and aghast. There are many others. Take an old peak that the Indians have known as Old-Man-of-the-Winds or Red-Top Plume and call it Mount Thompson or Mount Morgan or Mount Pinchot or Mount Oberlin–for Oberlin College, presumably–or Mount Pollack–after the Wheeling stogie, I suppose! There is hardly a name in the telephone directory that is not fastened to some wonderful peak in this garden spot of ours. Not very long ago I got a letter–a pathetic letter. It said that a college professor from an Eastern college had been out there this summer and insisted that one of the peaks be named for him and one for his daughter. It was done. Here, then, the Government has done a splendid thing and done it none too well. It has preserved for the people of the United States and for all the world a scenic spot so beautiful and so impressive that I have not even attempted to describe it. It is not possible. But it has failed to open up the park properly. It has been niggardly in appropriation. It has allowed its geographers to take away the original Indian names of this home of the Blackfeet and so destroy the last trace of a vanishing race. 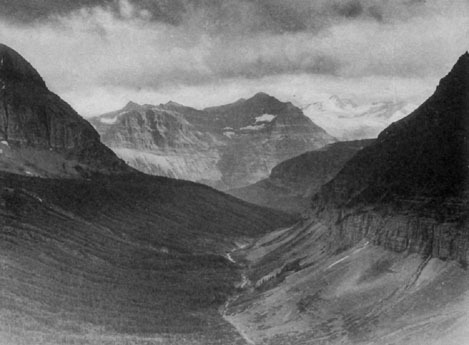 Were it not for the Great Northern Railway, travel through Glacier Park would be practically impossible. Probably the Great Northern was not entirely altruistic, and yet I believe that Mr. Louis Warren Hill, known always as "Louie" Hill, has had an ideal and followed it–followed it with an enthusiasm that is contagious. And with an inspiring faith. 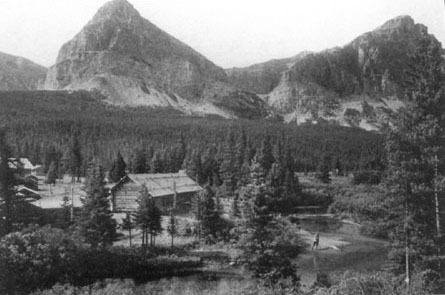 The chalet system, also built by the Great Northern, has done more than anything else to make the park possible for tourists. 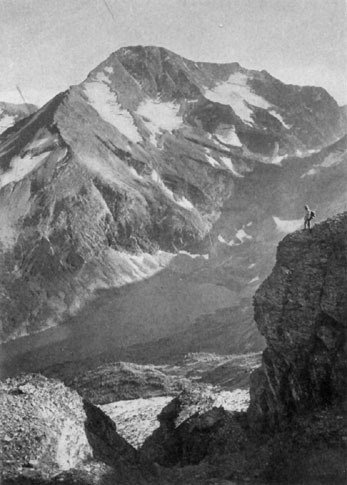 Automobile roads and trails alike touch the chalets, and, although I am firm in my conviction that it is impossible to see the park properly from an automobile, I realize that there are many who will not take the more arduous and sportsmanly method. 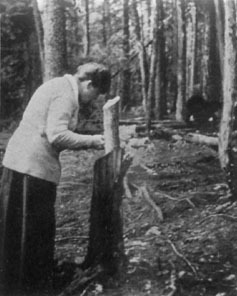 For them, then, a short trip of twelve or fifteen miles each day takes them from chalet to chalet. There are chalets at Two-Medicine Lake, at Cutbank Canyon, at Going-to-the-Sun, at St. Mary's Lake, at Gunsight Pass, at the Sperry Glacier, at Granite Park, and at Belton. There are rates from chalet to chalet–including a night's lodging in comfortable beds, morning breakfast, evening dinner, and a carefully packed luncheon–that are astonishingly cheap. For those who wish to go even more simply, there are the tepee camps. There are three of these, at St. Mary's, Going-to-the-Sun, and Many Glaciers. They comprise a number of Indian tepees grouped about a central cabin which includes a kitchen provided with a range and cooking utensils. The tepees themselves are wooden-floored and each is equipped with two single cot beds and bedding. At all of the tepee camps the charge for lodging is fifty cents per bed per night; the use of the range and cooking utensils is free. At the chalets near by, hikers may purchase food at very reasonable prices. It is, you see, possible to go through Glacier Park without Howard Eaton. It is even safe, and, to those who have never known Howard, highly satisfactory. But there will be something missing–that curious thing called personality, which could take forty-two entirely different, blasé, feeble-muscled, uncertain, and effete Easterners and mould them in a few days into a homogeneous whole: that took excursionists and made them philosophers and sportsmen. He was hunting in Arizona later on. The party ate venison, duck, and mountain lion–which tastes like veal. A hunter who puts the greenest tenderfoot at ease and teaches him without apparently teaching at all; a host whose first thought is always for his guests; a calm-faced man with twinkling blue eyes, who is proud of his "boys" and his friends all over the world–that is Howard Eaton as nearly as he can be put on paper. There are plenty of animals. Some fifty moose graze along the Flathead. Beavers have colonies in many of the valleys and industriously build dams that deepen the fords. I remember one place along the Cutbank Trail where the first horses found themselves above the belly in water and confronting a perpendicular bank up which one or two scrambled as best they could. The rest turned and, riding in the stream for a half-mile detour, made the trail again. That was the work of beavers. There is something particularly interesting about a bear. Perhaps it is because he can climb a tree. In other words, ordinary subterfuges do not go with him. Reports vary–he is a fighter; he is a craven; the fact being, of course, that he is, like all wild animals and most humans, a bit of each. The trip was over, and I had seen but one bear. At Lewis's that last Sunday I voiced my disappointment. Soon after I received word quietly that Frank Higgins, guide and companion on many hunting trips to Stewart Edward White and other hunters, had offered to show me some bears. The bear suddenly took to a tree, climbing like a cat. He looked about the size of a grand piano. Urged by Mr. Higgins, we approached the tree. Finally we stood directly beneath. He growled–the bear, of course, not Frank Higgins. But my courage was rising. Wild bear he was, but he was a craven. I moved up the focus of my camera and took his picture. We left him there and went back to the log. All at once there were bears in every direction, six in all. I moved my camera to thirty feet and snapped another. They circled about, heads turned toward us. Now and then they stood up to see us better. We were between them and supper. "Is n't there one behind me?" We did. The grizzly looked the exact size of a seven-passenger automobile with a limousine top, and he had the same gift of speed. The black bears looked at him and ran. I looked at him and wanted to. The artist put away his sketch, and we strolled toward the horses. They had not objected to the black bears, beyond watching them with careful eyes. But now they pulled and flung about to free themselves. Wherever he goes, a grizzly bear owns his entire surroundings. He carries a patent of ownership. Not all game is as plentiful as bears in Glacier Park or thrives so well. With the cutting-up of the range many of them have lost their winter grazing-grounds. Practically the last of the Rocky Mountain sheep and goats are in Glacier Park. Last winter numbers of these increasingly rare animals were found dead by the rangers. That is another thing the Government will do eventually. It may never see that the Blackfeet Indians have a square deal, but it will feed what is left of the game. Not for long, then, the cow-puncher in his gorgeous chaps, the pack-train winding its devious way along the trail. The boosting spirit has struck the West. Settlements of one street and thirteen houses, eleven of them saloons, are suddenly becoming cities. The railroads and the automobiles, by obliterating time, have done away with distance. The old West is almost gone. Now is the time to see it–not from a train window; not, if you can help it, from an automobile, but afoot or on horseback, leisurely, thoroughly. It had been a day to live for. The Flathead River does not flow; it runs. It is a series of rapids, incredibly swift, with here and there a quiet pool. Attempts to picture the rapids as we ran them were abortive. We reeled and wallowed, careened and whirled. And always the fisherman-guide was calm, and the gentleman who engineered the party was calm, and I pretended to be calm. In a boat behind us was a moving-picture man. For weeks he had always been just behind or just ahead. When the time came to leave the West, I missed that moving picture man. He had come to be a part of the landscape. I can still see him trying to get past us down those rapids, going at lightning speed to gain some promontory where he could set up his weapon and catch our boat in case it upset or did anything else worth recording. I caught twelve trout in as many minutes from that same rock and furnished the luncheon for the party. I took back loudly everything I had said against the fishing in Glacier Park. I ate more trout than anybody else, as was my privilege. If there were nothing else to it, I would still go back to the Montana Rockies for the fishing in the Flathead River. The large trout was cooked and served. It had been worth the effort. There were four of us to eat it–the moving-picture man, the chief ranger of the park, the gentleman from St. Paul who had engineered the fishing-trip, and myself. A crowd of people had gathered at the station. My supper companions left the train. There were many good-byes. Then the train moved slowly off. I stood on the platform as long as I could and watched the receding lights. Behind the hotel rose the purple-black silhouette of the mountains, touched with faint gold by the lingering finger of the sun.